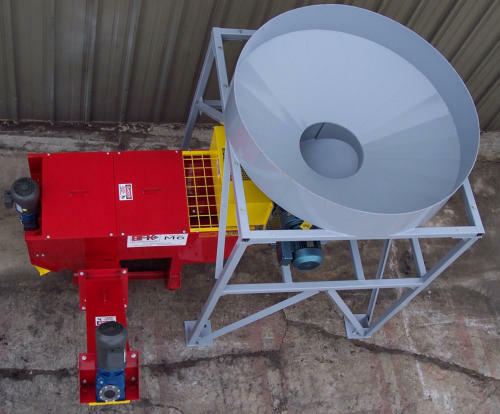 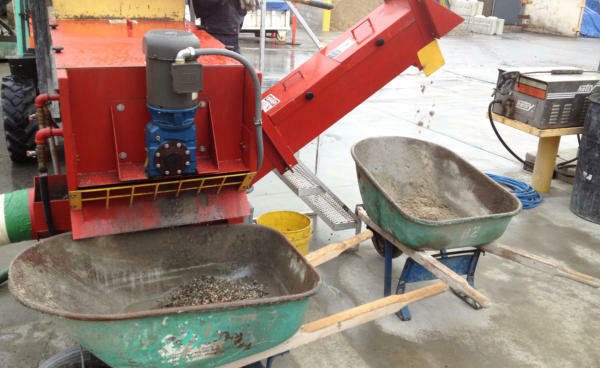 SMALL RECLAIMERS for SMALL washout sizes…. 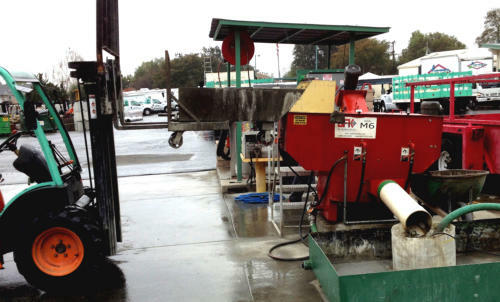 GFRC, Railroad Tie plants….yes, even You-Cart washout! 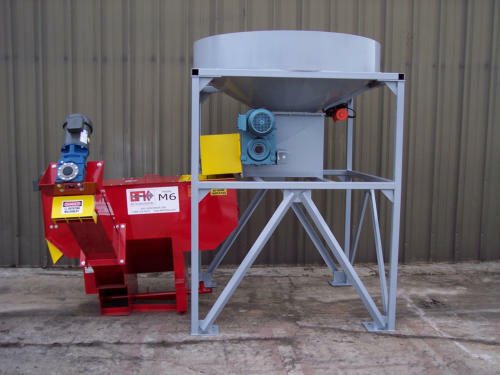 BFK began engineering small reclaimers way back in 2007. 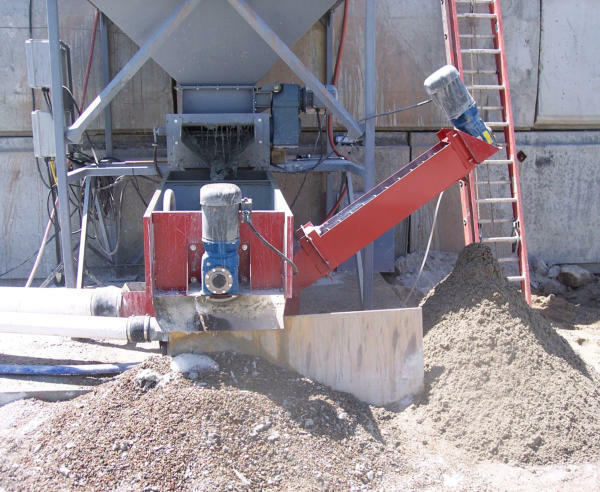 Precasters took notice…..
A precast operation needed a way to washout ready mix trucks, as well as mud buckets and other equipment. 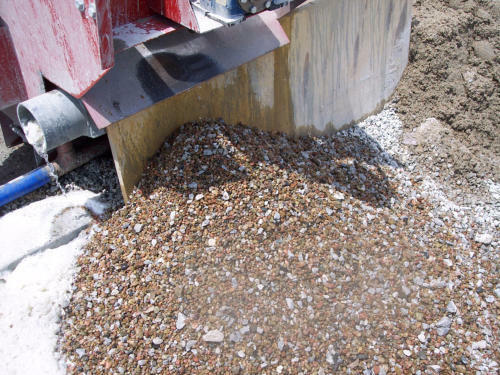 The “Mini Six-Shooter, or M6, solves the problem. 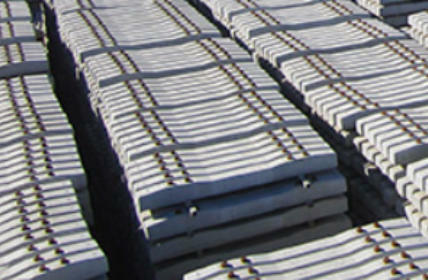 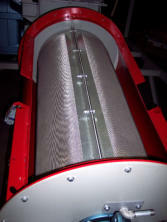 Model R2 is recommended for use in Precast, Pipe & Block Plants, and specialty plants like GFRC. 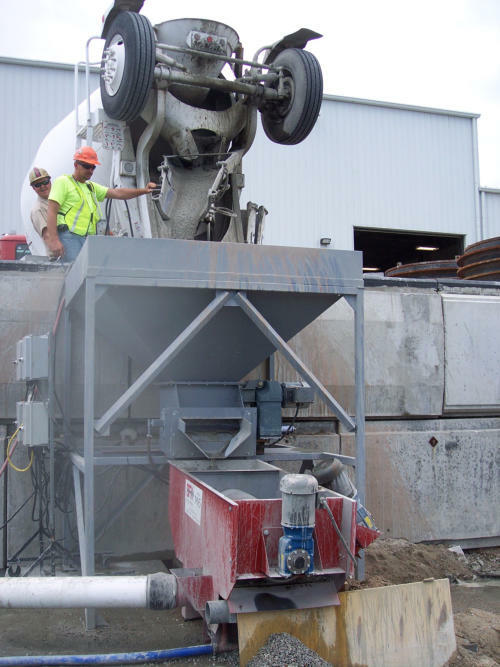 A local precast operation needed to handle mud-bucket washout at their plant, where they make architectural panels, parking decks, and related. 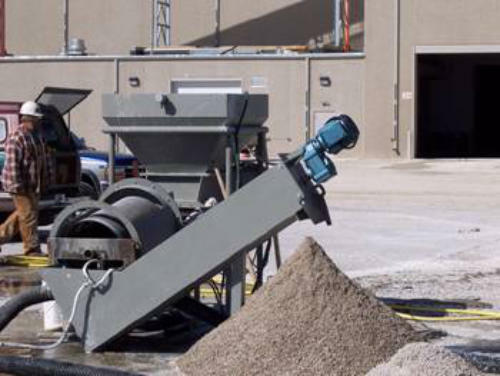 Model M6 is recommended for use in Precast, Pipe & Block Plants, also works for You-Cart washout. 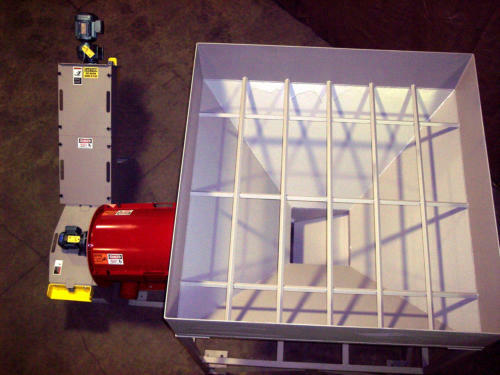 Approached by a precast plant that makes pipe sections, box culverts, utility vaults and similar products, a request for a SMALL reclaimer, with the ability to separate rock and sand, unlike the R2. 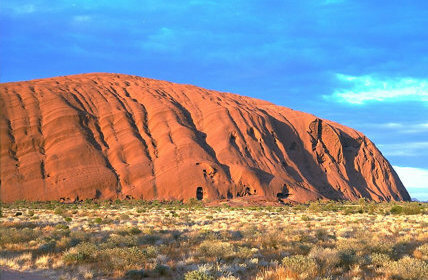 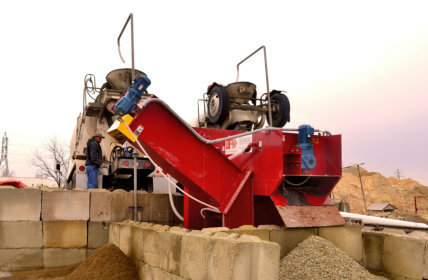 The ability to washout both ready-mix trucks and mud buckets, as well as skid-steerers and other plant equipment, was specified. 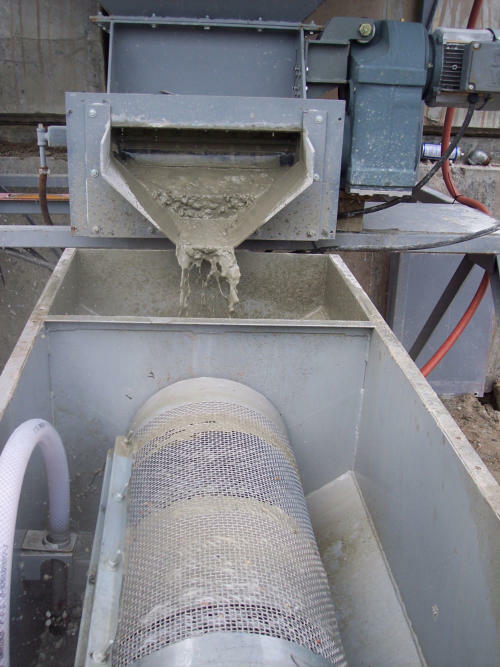 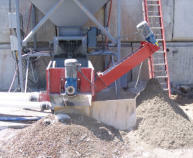 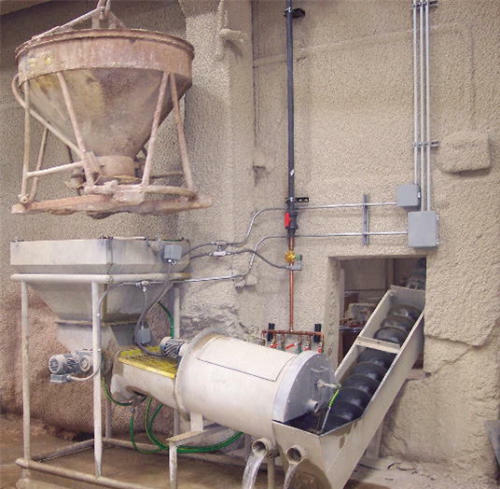 The system needed to handle a full mixer “bad load” of 2 cubic yards, requiring a quick washout without tying up personnel and equipment for long periods of time. 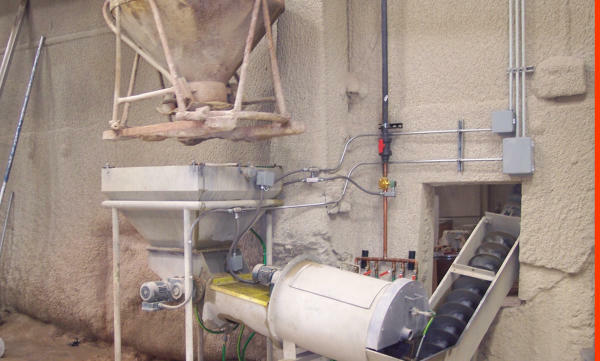 Named internally as the “Mini Six-Shooter” during development, the M6 was born…. 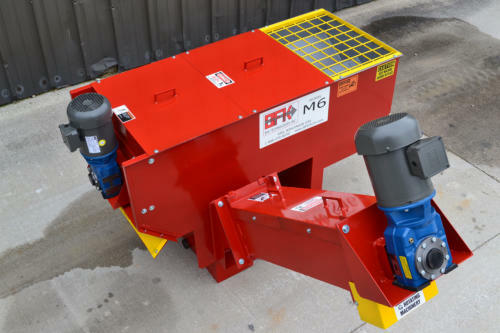 Capable of reclaiming 1 to 3 yards-per-hour, the M6 can work as a stand-alone reclaimer (perfect for you-cart), or come equipped with a wide variety of infeed hoppers, troughs and pre-feeders to do the job you need done. 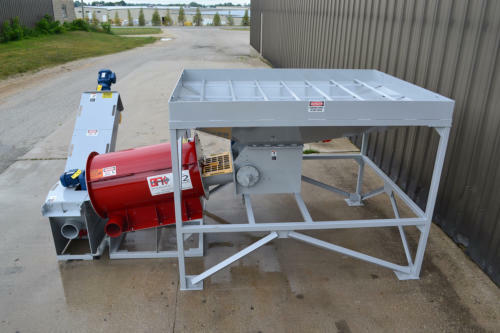 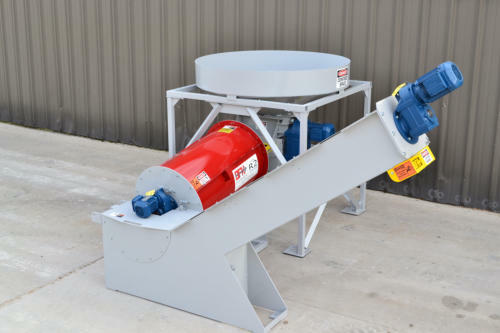 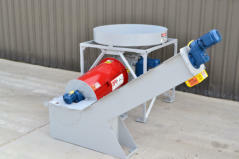 Available in Left– or Right—Hand Sand Screw Discharge to fit your plant, Infeed STAR Hoppers are available in ½, 1 or 2 cubic yard capacities, allowing you to washout and go back to work, while the STAR Feeder takes care of feeding the reclaimer. 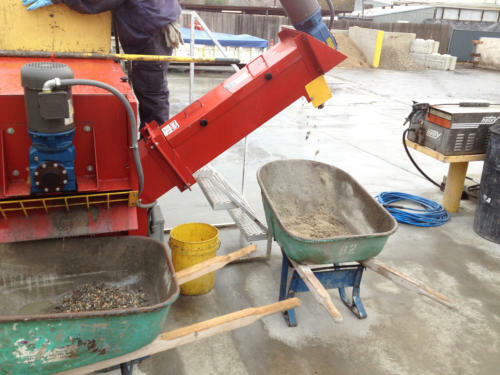 A West coast rental company, whose services include mixing concrete and renting You-Cart trailers, has the same problems as any concrete producer: handle the washout mess and keep the equipment clean. 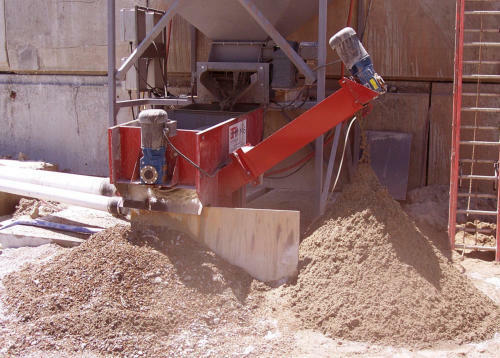 Precast Application Data Sheet Complete and return to BFK to give us the best information regarding your reclamation needs.